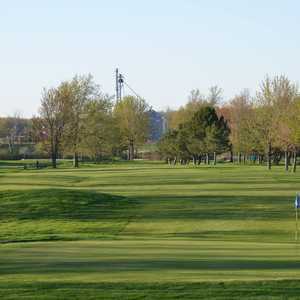 Port Colborne Golf & Country Club sits just minutes from the banks of Lake Erie. Founded in 1929, it originally opened as a nine-hole course and expanded to a full-length course in 1964. The golf course has matured beautifully over the years with help of major renovations to the design, irrigation, and drainage systems. The layout has rolling fairways that are lined with trees. It is still highly walkable though, since the undulations in the landscape are gentle, which is not to say it does not have its challenges. There are five water hazards and 13 strategically placed sand traps as well as smaller greens that demand accuracy. Port Colborne's practice facilities include a driving range and a putting green with a practice bunker. now deals, instead of paying 35$ to WALK after 3:00pm. Plus tax... what a joke. The Course is in fantastic shape.Fun to play.